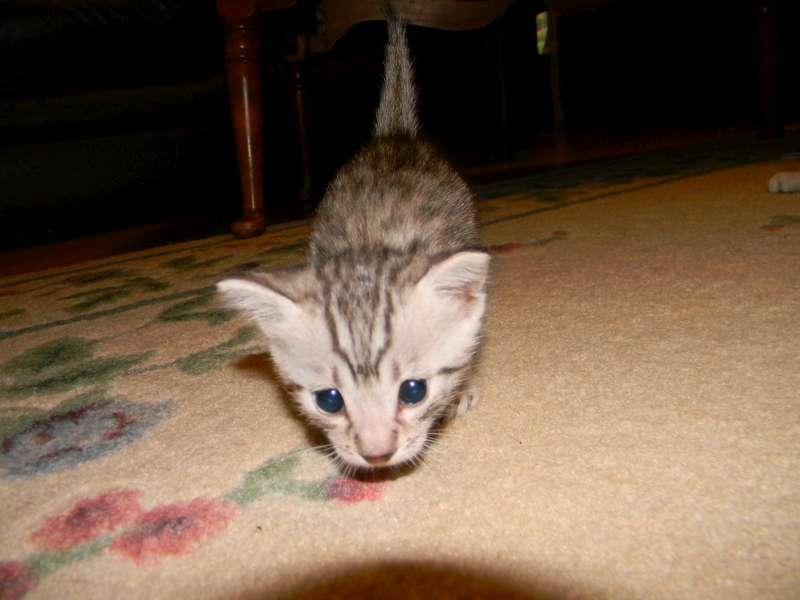 This precious little guy is going to be a stud cat with Alison in AL. 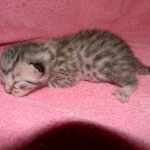 He already has Fumie and Argent who have been waiting for this unrelated male. 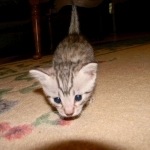 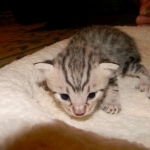 Another wonderful little silver Egyptian Mau face! 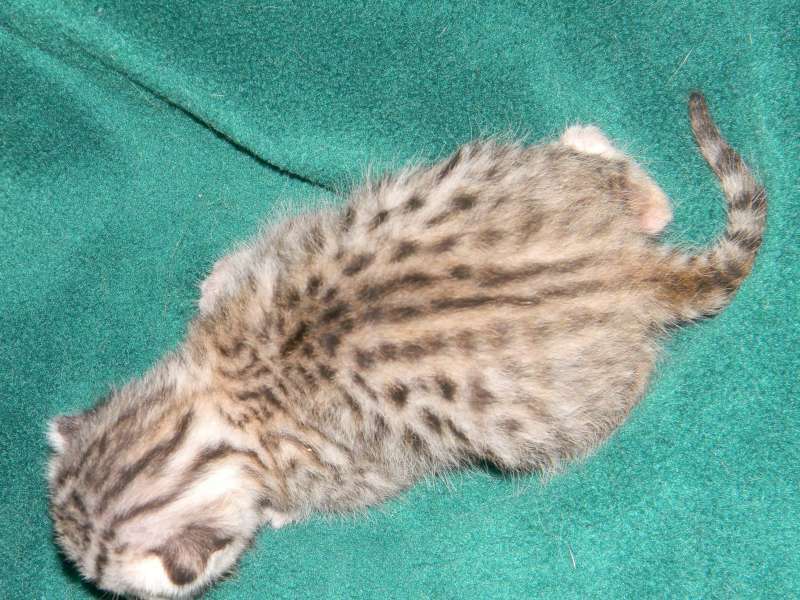 Alison's boy has great spots and shows great promise as a cattery sire. 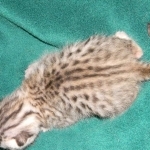 What great spots on the future Silver Egyptian Mau Sire. 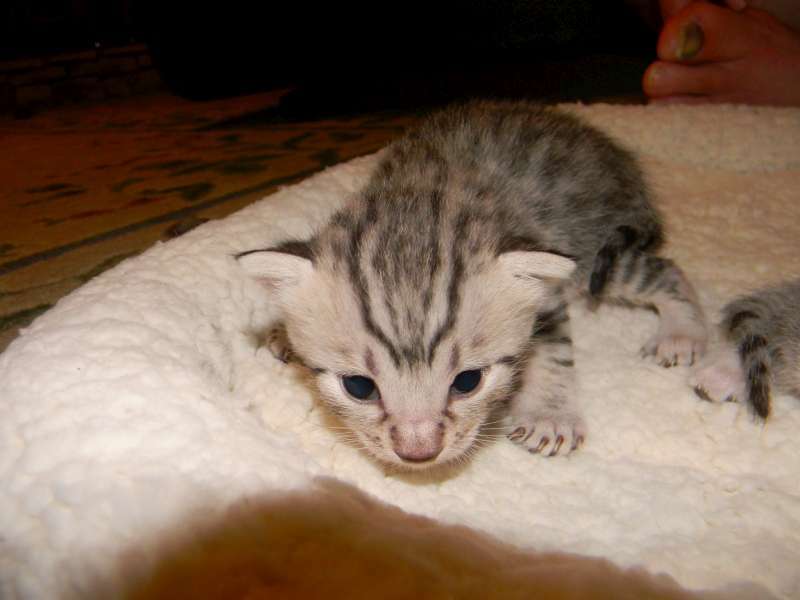 This precious little Silver Mau is going to Alison in Alabama where he will be her Foundation sire in a new Egyptian Mau breeding program. 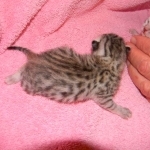 10 days old this little Egyptian Mau boy is just opening his eyes. 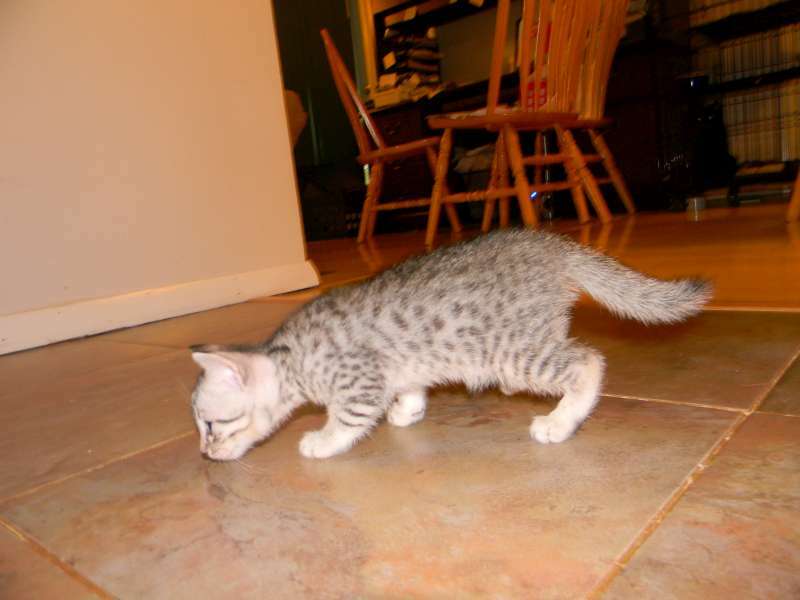 With beautiful contrast this Egyptian Mau boy will be a stunning adult. 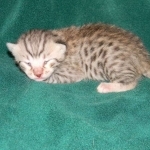 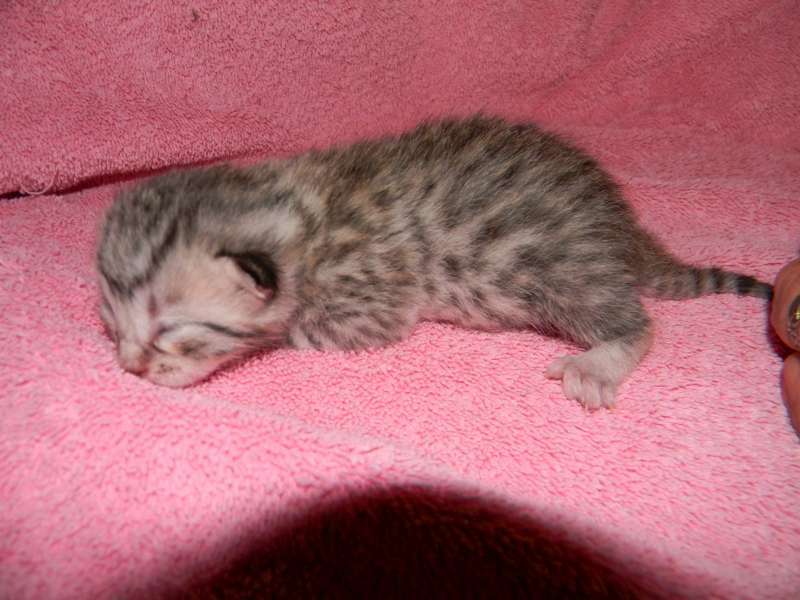 What a precious face on the nearly 3 week old silver Egyptian Mau boy. 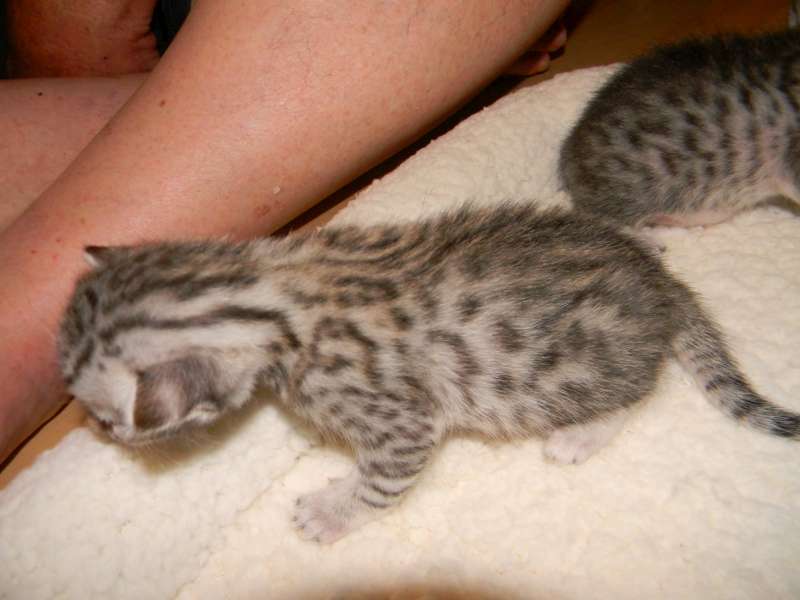 See my lovely spots! 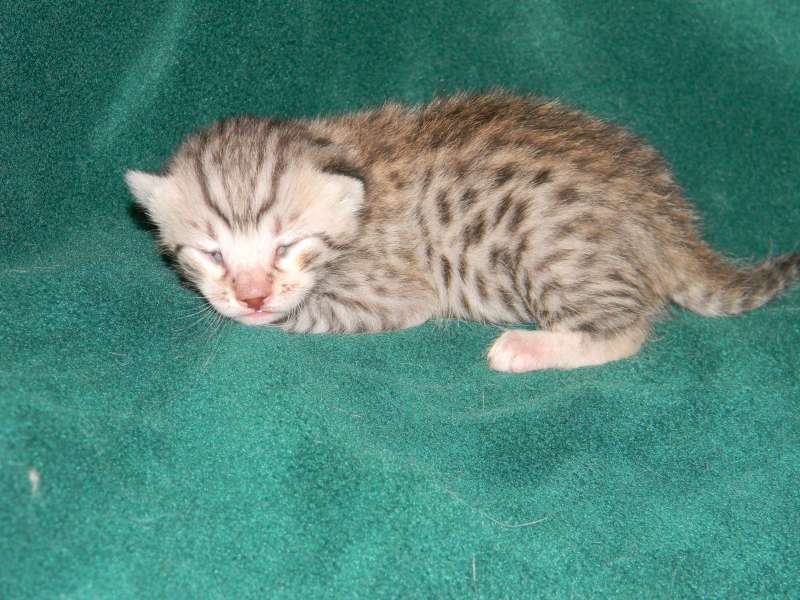 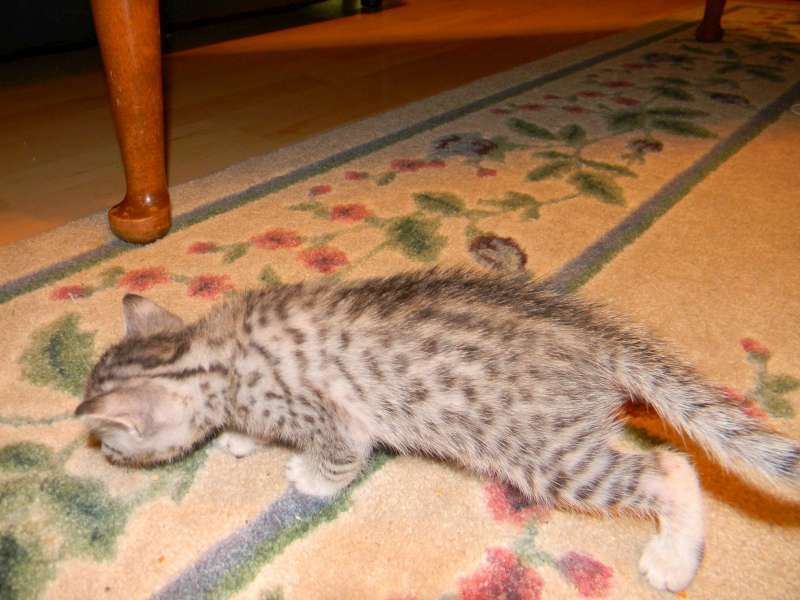 This little guy is a future Egyptian Mau sire! 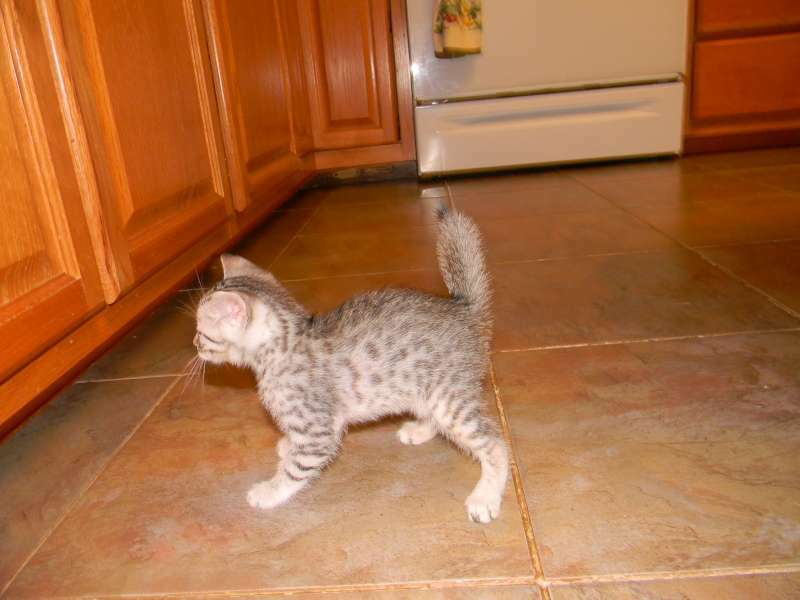 Showing his purrfect Mau profile this sliver baby is sure to make a superior addition to his Mom's cattery. 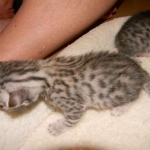 This little Silver Egyptian Mau Boy as yet unnamed is going to be a real beauty.